The low-maintenance Street Banner systems from Vispronet® are the classics among street-pole banners and can be used on both electric utility and lamp poles (Ø 60-250 mm) as well as walls. For double or triple the advertising effect, the systems can be also attached on two or three sides of the pole. Street Banner Basic is designed for indoor and or outdoor use - with max. wind force 5 - 6 Bft (30- 45 km /h). For advertising in areas with stronger wind force 9 - 10 Bft (75 - 100 km / h) we recommend the use of robust Street Banner Select. Street Banner from Vispronet® make your advertising outdoors very visible. They are easy to mount on a pole, lantern or pillar. In online offers you can often find the term lantern banner when looking to buy street banners. Bei Vispronet® you will find numerous Street Banner designs suitable for every application. Vispronet® prints and sells Street Banner with arm ready for creative presentation on the pole in windless areas or street banners that can be mounted directly on the wall. Most street banners are used on poles at the side of busy streets and squares. Vispronet® recommends a street banner with double-sided printing which is legible from all directions. This way your advertising message can be seen well from all sides. Simply select the street banner with "double-sided" print. The print is made in digital printing process and finished with bright colours and very good light fastness. You can order online street banners from Vispronet® in custom sizes. If you do not need special sizes you can also order a street banner in standard size. Create professional banners that draw public attention both on poles or house facades. If you did not have the time to create an elaborate graphic then use the available and simple in usage Visprodesign® tool. It can be accessed directly during your order with a simply click on the "customize" button. Combine your own photos or prepared motifs with free clipart, interesting graphics or your own lettering and increase in a few steps the attractivity of your Street Banner. The Street Banner Basic are very well suited for short and medium term use on lanterns, electricity poles or walls. The various Street Banner Basic types allow for an effective advertising on major streets and in city centers. Street Banner Select are specially designed for demanding and long-term outdoor use. Particularly regions with difficult weather conditions should consider the use of this Street Banner. The mounting for the lanterns and power poles are made of sturdy cast aluminum and secured additionally with three stainless steel straps. The high-quality arms are made of solid glass fiber and ensure crease-free stretched street banners. Vispronet® offers its customers a fast overnight service. It often happens that you need to order your Street Banner on short notice. In order to provide such an option to our customers we have set up a fast overnight service. At the end of ordering process, choose the overnight delivery option and you'll receive your street banners the next business day. Please note that you must provide us with a correct print data by 9:00 am at the latest, so the product can be delivered on time. If you would like to have banners printed for your advertising purposes, you should think about the right format in advance. Street advertising must draw the eye directly in order for it to be effective. Otherwise, your well thought-out concept can simply fade in the street’s daily traffic. At Vispronet® you can buy your custom Street Banner at your discretion. Available in practical portrait format they can be printed in different sizes between 50 x 125 cm and 70 x 250 cm. We also gladly print your banners in custom size. The available maximum dimensions always refer to the individual product. Buy Street Banners - what should you look for before printing? 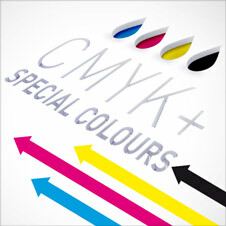 Use the largest possible, widely readable font which stands out well in colour from the background. Use text that is as short as possible - street banners are often perceived only in passing. So, less is more in this case. Logos and images should be clearly visible from afar. Maintain these basics in creating your street banners to attract the attention of potential customers in the best possible way. Customers who have no experience with the design of street banners should definitely take a look at the innovative design tool Visprodesign®. It can be accessed free of chargestron> in the shop and offers you support in the design of your Street Banner. If you have already completed your motif and text, you can simply place the file on the specified printing surface and continue the ordering process. Pay attention to proportions and distance to the banner edge and leave enough space for the mounting. You can choose from numerous design templates, clipart and photos as well as insert individual texts and colour shades until you have found the perfect solution for your advertising campaign. Afterwards you can proceed with your Street Banner order. We would like to offer the right street banner for every need and therefore give you the opportunity to choose between two different types - single or double-sided printed street banners. Double-sided banners are especially recommended for free-hanging types on street lamps or flagpole. This way your advertising message is clearly visible and readable from every direction. For mounting to house facades or fences the single-sided print is recommended, since only one side of the street banner is visible. Depending on the product selection, you can also order directly from Vispronet® the accessories required for mounting on the side arm or the wall. In addition to the eye-catching street banners, you can also present other attractive advertising materials on streets and fences. How about a printed banner presenting your advertisement over bright street? The continuously printed banner complements our street banner selection and can be quickly and easily attached to facades and fences. The banners are prewashed, ready to use and will not bleed after the first rain. Just try it.